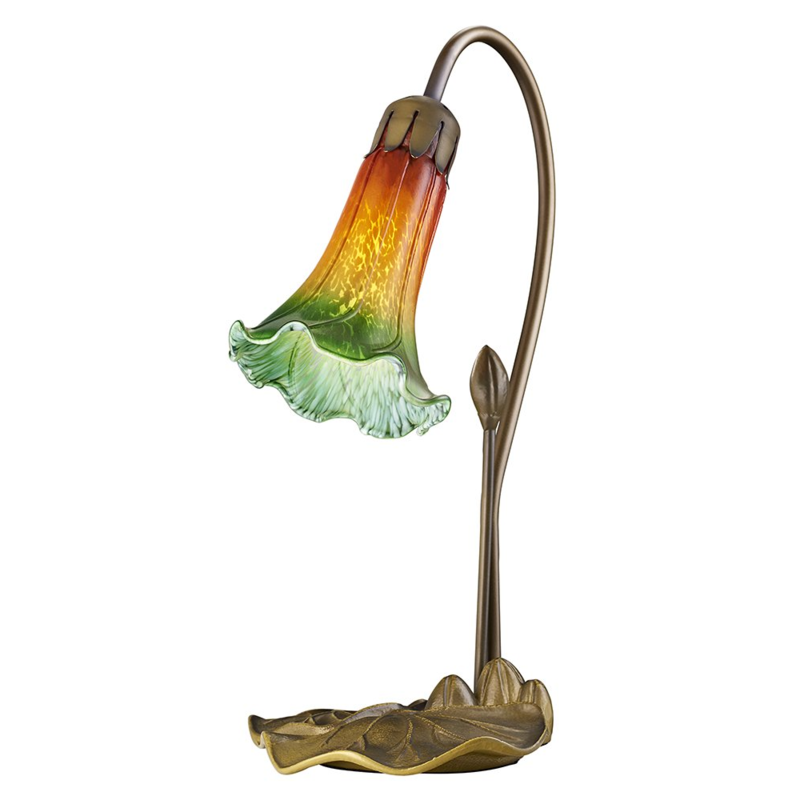 Beautifully hand crafted tiffany table lamp with green and amber lily glass. 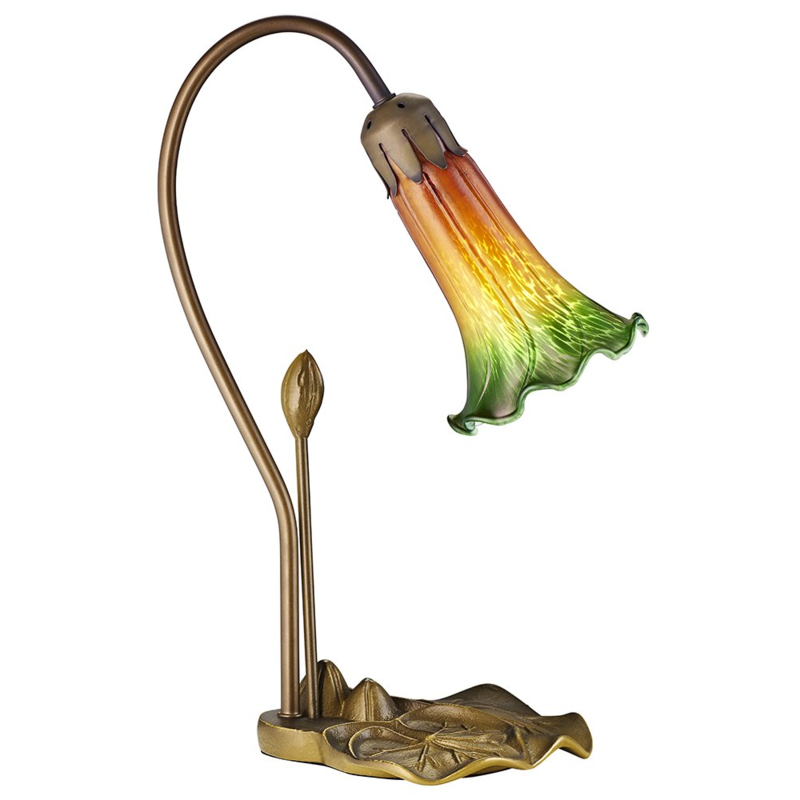 Features heavily weighted antique bronze resin body with floral decoration. Product measurements - Height: 38cm, Length: 15cm, Width: 15cm. Includes inline on/off rocker switch button. Complete with 1 year electrical guarantee. Requires 1 x 40watt SES candle bulb (not included). LED and low energy bulbs may be used if desired.